One of the most popular types of siding in the late 1960’s was aluminum siding. There were literally all sorts of companies that started selling and installing the siding here in Michigan and all over the United States. However, once vinyl siding hit the main stream it seemed like aluminum siding in Michigan started to fade away fast. 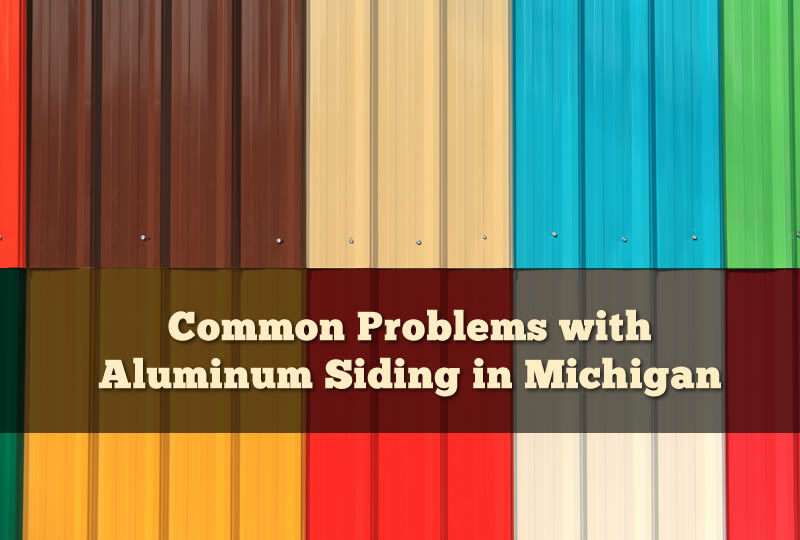 There are still manufacturers and siding contractors in Michigan that will install aluminum siding if you like but you’ll need to understand some of the common problems that are outlined in this article. Talking with a siding contractor can help you better understand the problems that may be associated with this type of siding. I do want to add that there have been lots of improvements in aluminum siding over the past few years and some of the problems below doesn’t apply to new siding that is being installed. It also matters about the installation of the siding and whether it has proper insulation backing or not. I included problems of siding already installed because it would be helpful for home buyers looking at homes that have aluminum siding installed. One of the biggest problems of aluminum siding over some time is that it gets really dull and chalky. As the paint on the siding starts to break down it creates a chalky substance on the siding that doesn’t shine. Siding that has been manufactured recently typically has a thin layer of vinyl on top of the aluminum that prevents the siding from chalking. If the siding on your home has a chalky substance on it, you’ll need to spend extra time if you plan on painting the siding. Most aluminum siding that is created today has paint applied and even a layer of vinyl on top of the paint to help prevent the paint from fading. The layer of vinyl also prevents the color from chalking as well. This was a common problem of aluminum siding in Michigan for decades but manufacturers have found a way to protect it today. If your home already has aluminum siding installed and needs a new paint job then be sure to properly prepare the surface for painting or else the paint will not stick correctly. [Chalking] was a common problem of aluminum siding in Michigan for decades but manufacturers have found a way to protect it today. If your home already has aluminum siding installed and needs a new paint job then be sure to properly prepare the surface for painting or else the paint will not stick correctly. One advantage of using siding which has already been painted or had color added is that it usually requires little maintenance. Aluminum siding needs less maintenance than wooden siding on most occasions. However, since the aluminum siding will likely need painting it is not maintenance free. Although aluminum siding typically doesn’t crack during cold weather like winters in Michigan it can be prone to dents. These dents can be anything from a ladder slipping and hitting it while painting to kids throwing a ball against the home. A large hail storm can also wreak havoc on aluminum siding as well. The texture profile of most aluminum siding is smooth which makes even smaller dents seem more pronounced. Lighter colors can help to hide some of these dents but one of the biggest problems with aluminum siding in Michigan is the dents that can occur. During hard rain showers that aluminum siding can be really noisy especially if it’s not well insulated. 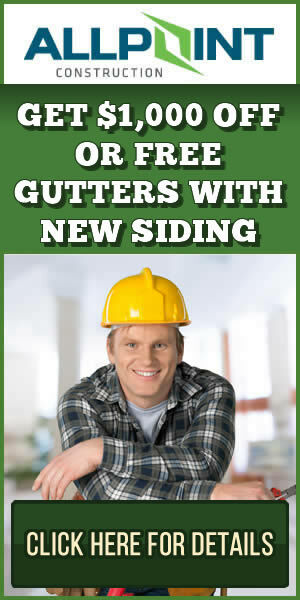 A loose piece of aluminum soffit or siding on a windy day can also sound like your home is falling apart as well. Sometimes maintenance on the siding with tightening loose materials and better calking can stop most of the noise. Before installing aluminum siding on your Michigan home be sure to check out some of the alternative siding choices that are available. Vinyl siding can be a much better choice and even more economical as well. Be sure to talk with your siding installation contractor in Michigan to learn more about other siding choices available to you.